LearningRx, a brain training & tutoring company, has been fined by the Federal Trade Commission (FTC) for making a range of false and unsubstantiated claims about the effectiveness of its cognitive training programs. LearningRx and its CEO, Dr. Ken Gibson, deceptively claimed that their brain training programs were clinically proven to permanently improve serious health conditions like ADHD, Autism, dementia, Alzheimer’s disease, strokes, and concussions. LearningRx also claimed that its training programs substantially improved school grades and college admission test scores, career earnings, and job and athletic performance. The FTC order imposes a $4,000,000 judgment against the company, which will be suspended upon the payment of $200,000 as disgorgement of ill-gotten gains. What Went Wrong with LearningRx? LearningRx is caught in a trap of its own making. The FTC’s complaint is really about the health claims LearningRx made without any proof from objective, unbiased clinical research. LearningRx uses an aggressive franchise business model that gives priority to revenue and new customers. This business priority runs directly up against the fact that obtaining results from unbiased, published peer-reviewed clinical research is very expensive, and very time consuming. Cutting corners by making “clinically validated” claims that its cognitive training programs cure or improve Autism, ADHD, etc., without actually doing the clinical research got LearningRx into hot water with the FTC. LearningRx can take some small consolation that the FTC’s enforcement action isn’t as large as what was levied against Lumosity, which forfeited $2 Million to the FTC earlier this year. As we have noted before, the enforcement actions be the FTC should act as a wakeup call to other brain industry players like BrainHQ, CogniFit, BrainGymmer, Memorado, FitBrains, MyBrainSolutions, and C8 Activate (to name a few from more than 100 brain game apps and programs). A large body of evidence points to physical exercise, quality sleep, a healthy diet, and positive social interaction as far more important to keeping your brain healthy, rather than using brain game apps. Physical activity supports good cardiovascular health (important for brain health), and also stimulates the neurotrophic factor BDNF, which helps the brain grow new neural connections. Quality sleep helps the brain’s natural ability to clear amyloid beta protein, one of the hallmarks of Alzheimer’s disease. 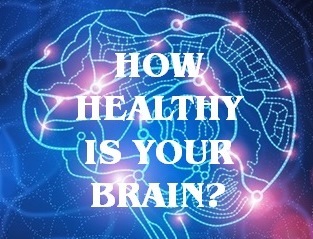 Learn more with the Healthy Brain Test, and receive a free report.